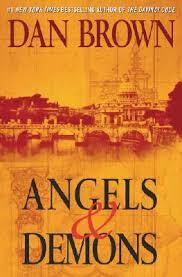 Angels and Demons is a sophisticated Science Fiction meets Sherlock Holmes multiple murder mystery with serious religious overtones. Director Ron Howard has built a number of complex ideas into this remarkable look deep inside Vatican power struggles that emerge after the murder of a pope. What is also thought-provoking is that between The Godfather movies, The Da Vinci Code and this sequel even a staunch Catholic will learn things about Catholicism that the church itself just doesn’t want to discuss. I’m not insinuating the situations in all these films were or are real, just that the reality of the wealth of the Catholic Church and its power get lost in the shuffle when people are ordered to say “five Hail Marys, one Our Father and don’t do it again!”. 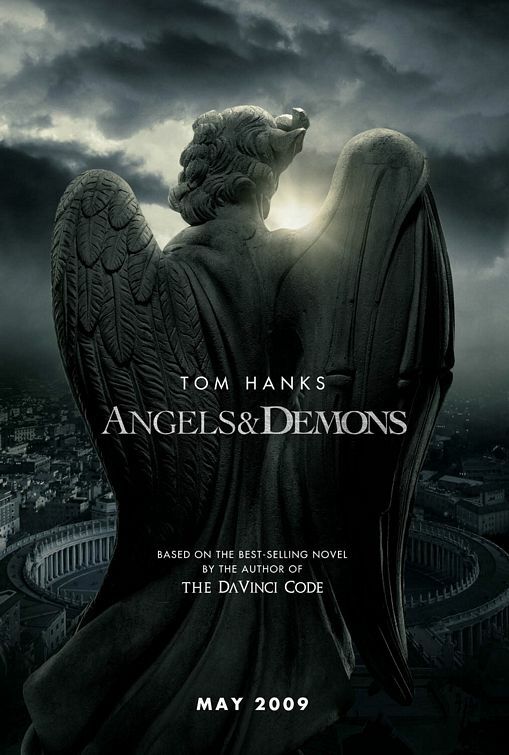 These movies sort of rip the lid off of that religion which is why, clearly, the Vatican was not more helpful in the making of Angels and Demons. Superb scriptwriter David Koepp is paired with Akiva Goldsman who had a hand in writing “Lost In Space”, “Batman Forever”, “I, Robot”, “Batman & Robin”, “I Am Legend”, even playing (as an actor) Vulcan Council Member #1 in Star Trek 2009. Now all those Goldsman scripts mentioned above had their flaws (though he was involved in the excellent “A Time To Kill”) so it is a pleasant surprise that Koepp and Goldsman do a very good job here with fast paced intrigue and the obligatory snapshots from other films. You’ll find The Minority Report and a bevy of other modern day movie particles dropped into the mix, but the end result has most satisfactory results with Tom Hanks and Ewan McGregor turning in detailed performances. McGregor won’t remind you of Obi-Wan Kenobi , as chameleon as Heath Leger in creating a new look and a new persona. The resilient Armin Mueller-Stahl of The Thirteenth Floor fame (the film that helped really launch Law & Order Criminal Complaint star Vincent D’Onofrio ) is excellent, as always, playing Cardinal Strauss. Leaving the Woburn Showcase Cinema at 3 AM it was a windless Sunday morning with birds chirping and the halo of the film staying with you as a good flick tends to do on these midnight showings.